INDIANAPOLIS — Are patients less likely to be hospitalized if emergency departments have access to their complete medical record via health information exchange? “Findings from our new study could serve as a report card on potential benefits of HIE and as a template for HIEs as they mature,” said Regenstrief Institute investigator Brian E. Dixon, PhD, an assistant professor of epidemiology at the Indiana University Richard M. Fairbanks School of Public Health at IUPUI, the principal investigator of the new study. Health information exchange is more frequently used in emergency settings than anywhere else in the health care system. Yet little research has been done on its long-term use — or its impact on patient care — in the emergency setting, where visits are unplanned, urgent and acute, and patient health information is not available beforehand to care providers. 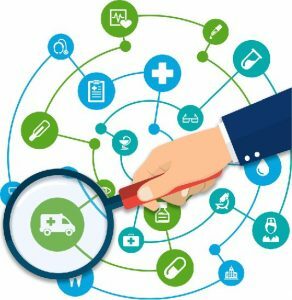 While researchers at Regenstrief and elsewhere have previously investigated whether the availability of information from health information exchange reduces costs by decreasing duplicate testing and unneeded imaging studies, there is a dearth of knowledge about whether providers’ use of health information exchange in the emergency department leads to actual improvements in patient outcomes. And there is limited existing information on which personnel in an emergency department use health information exchange and why those providers choose to do so. The Regenstrief investigators will review usage logs from the Indiana Network for Patient Care, one of the largest interorganizational clinical data repositories in the country, to determine how frequently information from the health information exchange was used in the emergency department, for what kinds of patients, by what types of health care providers and under what conditions it was most useful. They will also determine which sections of patient medical records — for example, laboratory results, imaging studies, medication list or medical history — were accessed. In addition, they will review the outcome of the visit to determine whether the patient was admitted to the hospital. The Indiana Network for Patient Care was developed by the Regenstrief Institute’s Center for Biomedical Informatics and is now operated by the Indiana Heath Information Exchange.